In that sense, to finally be able to hear her speak, not just with text, but with a voice, and to hear her story in her own words, was something that had me excited about Other M since its original E3 unveiling. And while there has been a great deal of criticism regarding the voice acting of the character, it’s never been an aspect that bothered me. I understand that, as she’s narrating, she’s speaking about the game’s events from a distance. She remains cool, as one might, while explaining these past occurrences to others. Further, there’s a distinct difference between the intonation of her narration and her actual character dialogue, as the latter is much more emotive and expressive. But more than the voice acting, the one criticism that I keep hearing is that Other M is sexist and ruined Samus as a character. Former game journalist Abbie Heppe’s review of the game made waves across the internet largely because she had perceived it as such and was very clear about it. Whether you agree with her thoughts or not, she didn’t do anything to hide exactly how she felt about Samus’s portrayal. And that’s perfectly fine because that’s her opinion. I just don’t happen to agree with it in the least. One of the criticisms that Heppe had (and I am paraphrasing) is that the Samus of Other M doesn’t match the image of the character that she had built up in her mind over the years. I’m sure that the same could be said for a lot of Metroid fans, but that’s only natural when previous games, especially the pre-Fusion 2D entries and the Prime series, painted an incomplete portrait of her character. 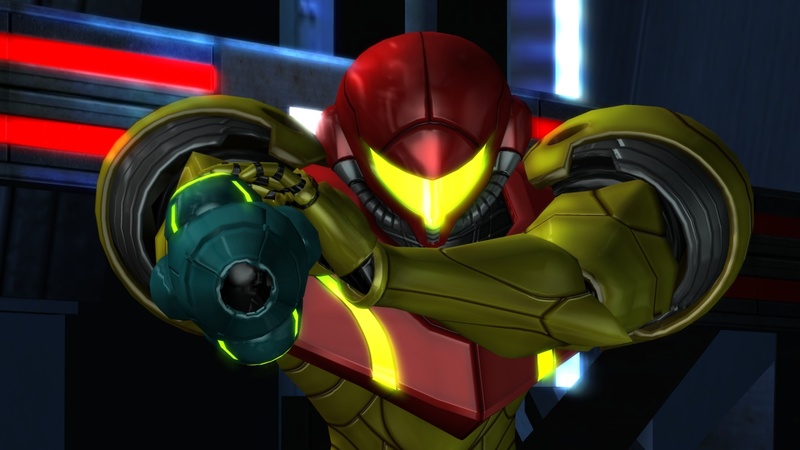 Without aspects such as voice or access to inner thoughts, Samus’s persona could be interpreted in any number of ways by any number of people, whether she’s a stone-cold killer, business-minded bounty hunter, vengeance-driven, Batman-like orphan, or something else. Regardless of what those of us who grew up playing Metroid games feel about Samus, however, while fiction often leaves openings for personal interpretation, we aren’t the ones in the position to define who she is as a person. That’s up to the developers. The creator is the one ultimately in control of a character’s identity, no matter how intimately we as the audience feel we know them; though we’re also under no obligation to like the direction a creator may take his or her creations. And with that in mind, the aspects of Samus on display in Other M: her history, her personality and her relationships, are depicted as they were conceived by Yoshio Sakamoto. Now, I’ve said before that Sakamoto’s writing left a lot to be desired. However, in my mind, the poor writing does not negate from the fact that I like who Samus is. That she is not some emotionless murder machine, or a stoic, all-business space marine. All human beings have their share of flaws and emotional frailties; things that get under our skin, no matter how many times we’re exposed to or reminded of them. 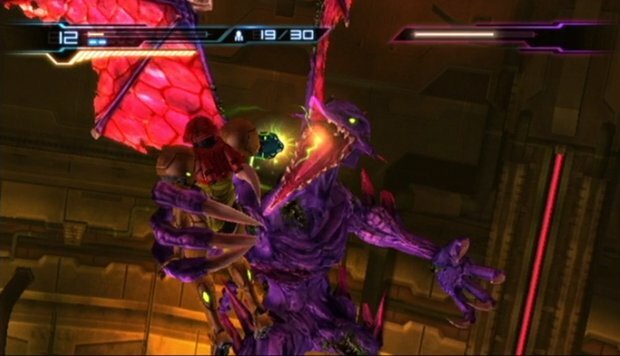 That Samus continues to suffer from the effects of what is, I assume, Post-Traumatic Stress Disorder at the sight of a resurrected Ridley, the creature responsible for her greatest childhood pain, after living under the belief that he was dead and gone forever, feels natural to me. It feels human. Painful memories never die easily. Is that weakness? Yes, but it’s a human weakness, and the strongest characters in fiction tend to be those that have their faults. It’s also certainly not sexist for a character to be this way. It’s perfectly plausible for a character, male or female, to have emotional or psychological weakness and yet still be strong. That Samus has that moment of panic, that she has that need for Anthony to stop Ridley so that she can recover, is a dramatic moment…and not one that I find unreasonable. To an extent, I suspect that at least some of Other M’s critics wanted someone that could solve every problem herself and that can single-handedly save the day, because the player wants to assume the role of the character. And yet, what those particular players want is one of the worst ways a protagonist can be characterized, in my opinion. If Samus were like that, she would cease being a character. She’d be little more than a cipher.